Now that’s a first dance the world would like to see. Dancing With the Stars pros Emma Slater and Sasha Farber are officially married. The pair exchanged vows on Sunday, March 25, at the Bella Blanca in Los Angeles, in a wedding designed and planned by celebrity planner Mikie Russo of Michael Russo Events. According to Russo, Slater wore two different gowns by Rivini—the second reception dress was a dance floor-friendly piece featuring a sheath column. Us Weekly got the first look inside the couple’s nuptials. According to Us, the couple’s first dance was to a 2018 favorite: Ed Sheeran’s “Perfect.” The in-demand British singer wasn’t able to perform live, but he recorded a pre-taped message for the newlyweds in lieu of an in-person appearance. Celebrity wedding guests included Julianne Hough and Brooks Laich, as well Nick and Vanessa Lachey. 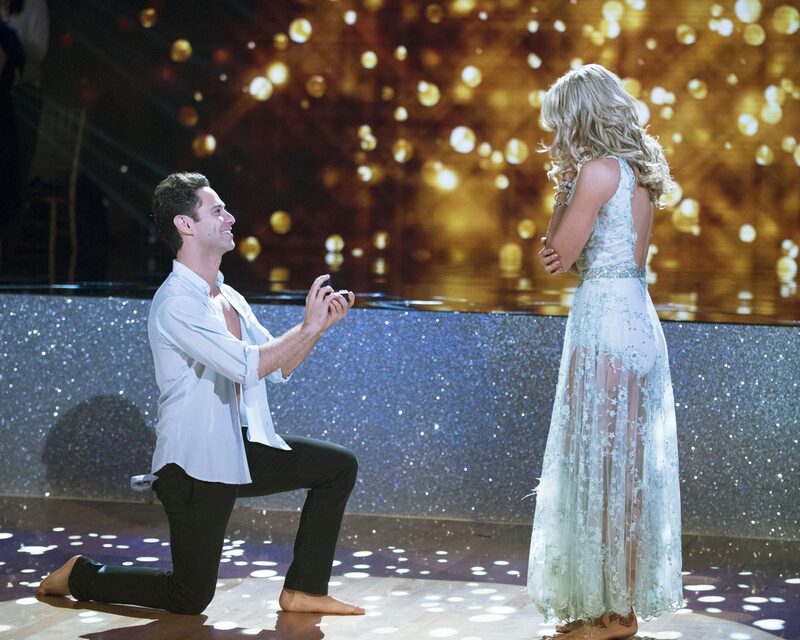 Be the first to comment on "‘Dancing With the Stars’ Pros Emma Slater and Sasha Farber Marry in Los Angeles Wedding"